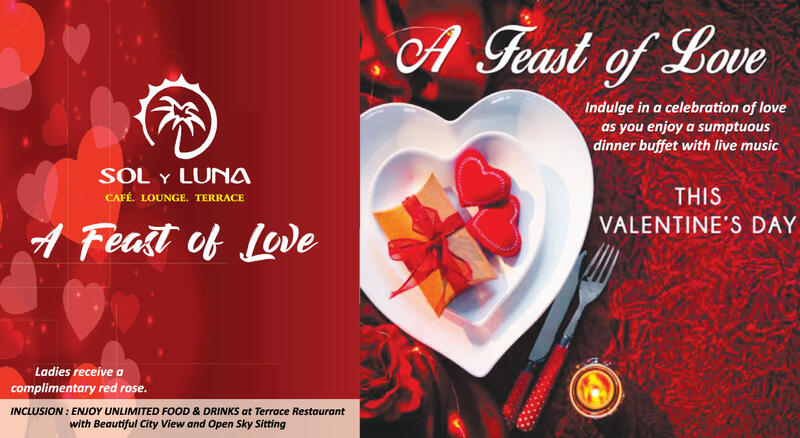 Indulge in a celebration of love as you enjoy a sumptuous dinner dinner buffet with live music. Ladies receive a complimentary red rose. Enjoy unlimited food and drinks at Terrace Restaurant with Beautiful City View and Open Sky Sitting.